It's been almost nine months since the Redmi Note 5 series premiered, and it's already time for an upgrade. The Redmi Note 6 Pro is now official, shaking up the lineup with one of the most recognizable and controversial features on the market - a frame-to-frame display with a notch. Yes, the Redmi Notes have reached that inevitable moment, where the notched screen would become the default one until something better comes to replace it. Even the cheapest of smartphones have already jumped on the notched bandwagon, so it's no surprising to see the Redmi Note 6 Pro being the forerunner of change for the Notes to come. Xiaomi has pretty much thrown logic out of the window for the Redmi Note names. 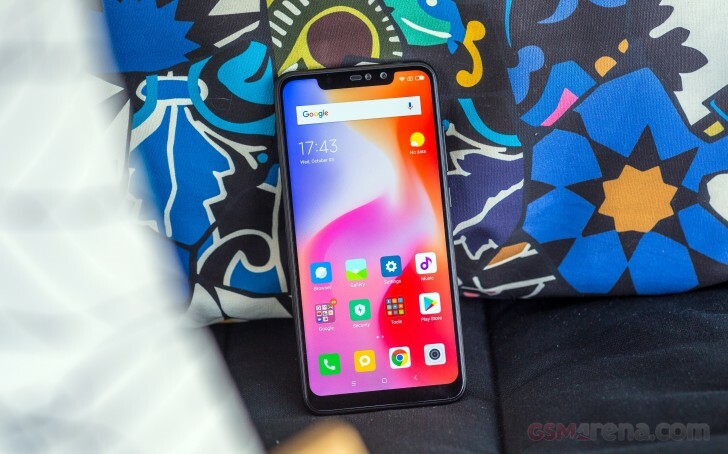 The Redmi Note 5 is widely available as Redmi 5 Plus, the Redmi Note 5A had little to do to with the Note series at all, while the Redmi Note 5 Pro got an enhanced version called Redmi Note 5 AI Dual Camera. So, the Redmi Note 6 Pro is the Note 6 series opener, but please, don't ask what happened with the Redmi Note 6. Nobody knows. Anyway, the Redmi Note 6 Pro isn't a massive upgrade over the Note 5 Pro, but that's to be expected given the short development cycle. The Note 6 Pro does bring a larger display fitted in the same body, but keeps the same Snapdragon 636 chipset, beefy battery, and plastic/metal design. It borrows the main camera from the Note 5 Pro AI Dual Camera edition, but the selfie photography got a boost with a new dual-camera at the front. Let's take a peek at the detailed specs. We can't think of anything that's missing on the Redmi Note 6 Pro and it's shaping to be one very thoughtful smartphone with great bang for the buck ratio. And now it's time to pop this thing out of the box. Xiaomi has bundled the Redmi Note 6 Pro with the usual accessories - a 10W charger, a microUSB cable, and a soft silicone case. 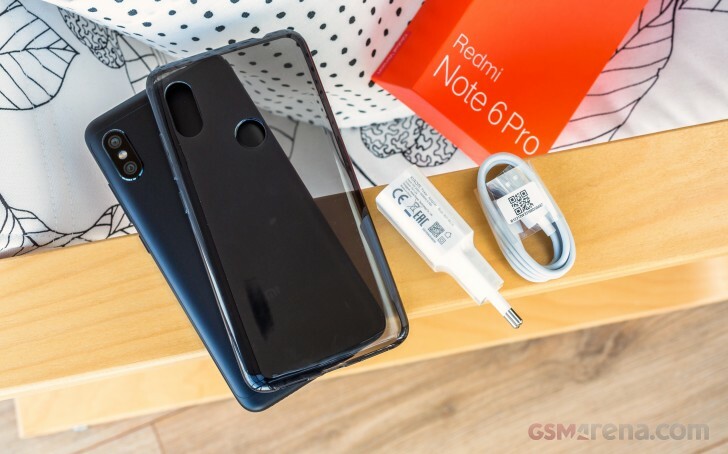 Some, or all, Redmi Note 6 Pro units have factory-applied screen protectors. Ours was fitted quite nicely, and if it weren't for our display tests, we would have kept it for sure. You don't know anything, and still writing crap in comments. Gorilla Glass is a registered product manufactured by Corning, just as iPhone os manufactured by Apple. Please gather some knowledge before spreading it to others. Thanks. May I know what s the issue?